At Mala we offer a welcoming, supportive space for your practice. We encourage our students to learn to know themselves. To know when it’s best to rest in child’s pose or take the next step to find your edge. We love props and all classes will offer modifications, variations and use of props as is suitable for your practice. We want you to receive the most benefit from your practice so you leave feeling relaxed, vibrant and joyful! Unsure about which class to join? Please feel welcome to email us with any questions – we look forward to hearing from you! The word Hatha is the term used for all physical practices of yoga and represents our masculine (ha – sun) and feminine (tha – moon) aspects. A balanced mind-body practice, your class will be interspersed with moments of flowing movement, static postures and moments of rest to recalibrate and allow the physical practice to settle into your being. Combining strength, flexibility and stillness, class will start with mindful breathing to quieten the mind and relax the body. A creative sequence will work towards a peak pose or target a specific need of the body and will incorporate san salutations, standing, balancing and twisting postures. As always, a long savasana awaits you at the end of practice to integrate and relax. Class is open to all levels. Vinyasa classes are more dynamic than our Hatha classes – still linking breath with the movement of postures however providing a space to find continuous flow like a dance throughout the practice. Well-rounded, creative sequencing allows for attention to the breath and fluid movement. Starting with movements to create a firm foundation, you will learn to progress your practice with flow and strength. Sun salutations, standing and balance postures will generate heat in the body to increase strength, flexibility and focus, leaving you feeling calm and centred. Finally you will move towards savasana to quieten the mind and body at the end of class. A slower paced style of yoga which focuses on long holds (two to five minutes) to benefit connective tissue and fascia, it is the perfect compliment to the more dynamic, yang styles of yoga. A led class, your teacher will lead you through half of the Ashtanga primary series, starting with sun salutations and moving on to standing then seated postures. A dynamic practice that will heat the body through movement and breath – expect to move and get hot! Some yoga experience is recommended however class is open to all levels. 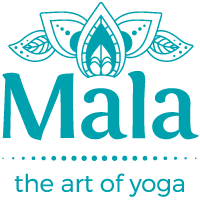 Choose from our Mala Membership, Monthly and Block passes.